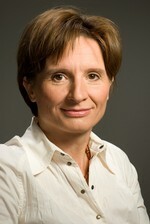 Monika Schwarzhappel is Head of the Statistics Department at wiiw, where she is coordinating the development and maintenance of major economic databases on Central, East and Southeast Europe as well as ensuring its methodological comparability. She is also co-editor of the wiiw Handbook of Statistics and is responsible for data on Hungary and Romania. She obtained an M.A. in business administration at the Vienna University of Economics and Business Administration.